You may not know this about the color of your ceiling…over time it will turn shades of yellow.Yellowing of the ceiling can be caused by sunlight, house moisture, candles, smoke, cooking oils, and other everyday wear and tear. 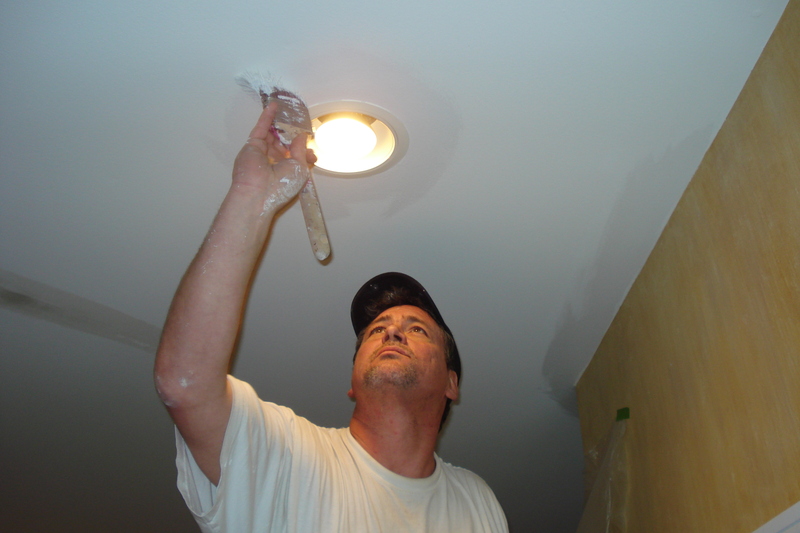 When you decide to paint your ceiling, you will be amazed how much brighter and whiter it becomes. Most customers have us paint the ceiling when we do the walls or trims so everything looks new and fresh. The final result will have the room smelling and looking like new. The color you choose can make the room look larger or smaller, warm or cold. When deciding to paint your ceilings there a several factors, lighter colors open up a room and make them appear larger, where as dark colors make a room look smaller and actually appear to lower the ceiling, Aardvark Painting will assist you in making the right choice, for Ceiling Painting Ideas and color choices visit our “Virtual Room Painter“.